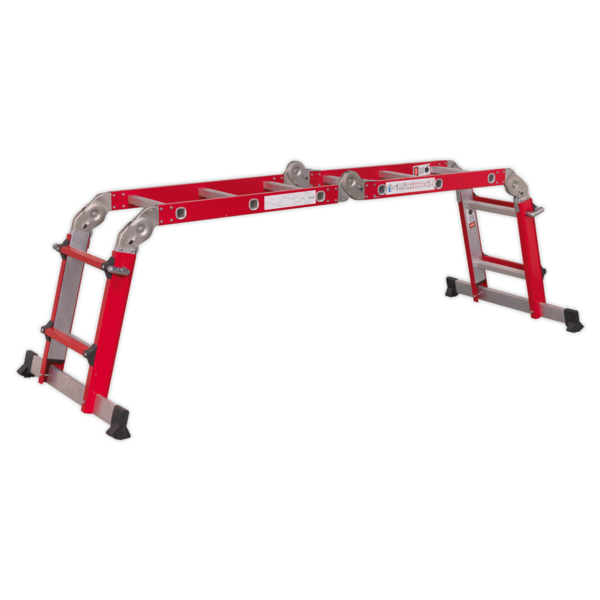 EN 131 Approved four-way, four-section, aluminium ladder with mechanically swaged joints. Six robust auto latching locking hinges allow for multi-positioning. 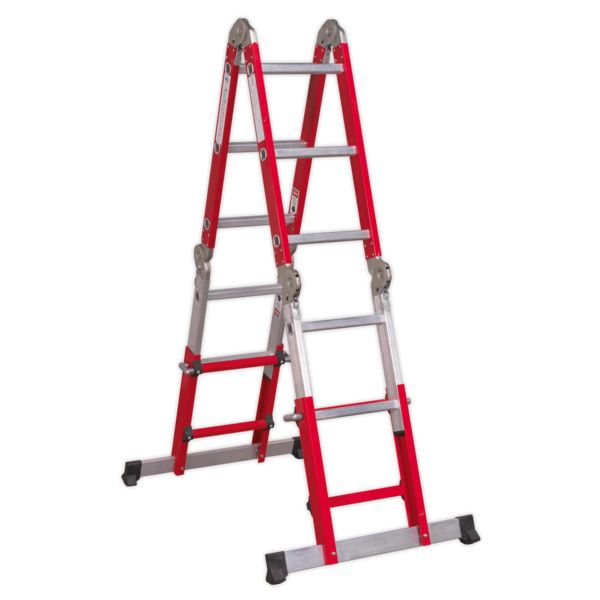 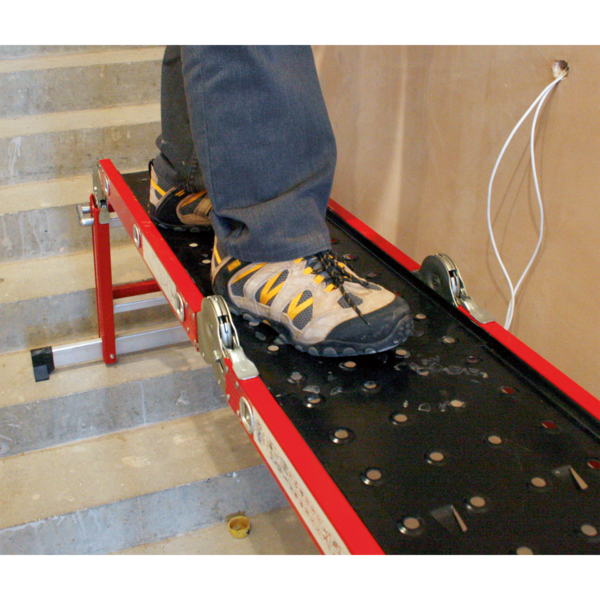 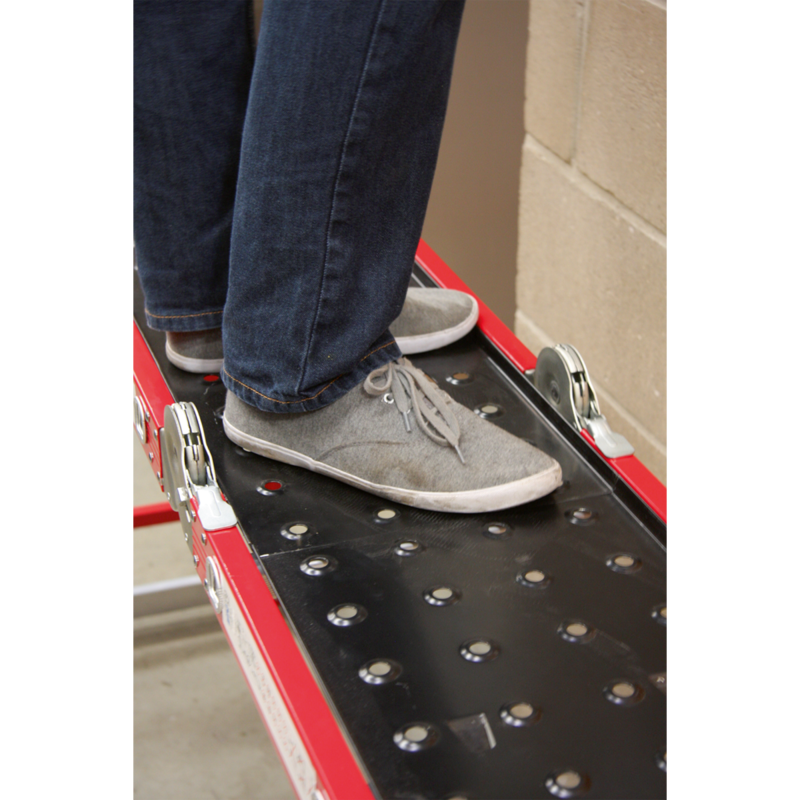 Can be used as a platform, straight ladder, step ladder or offset ladder. 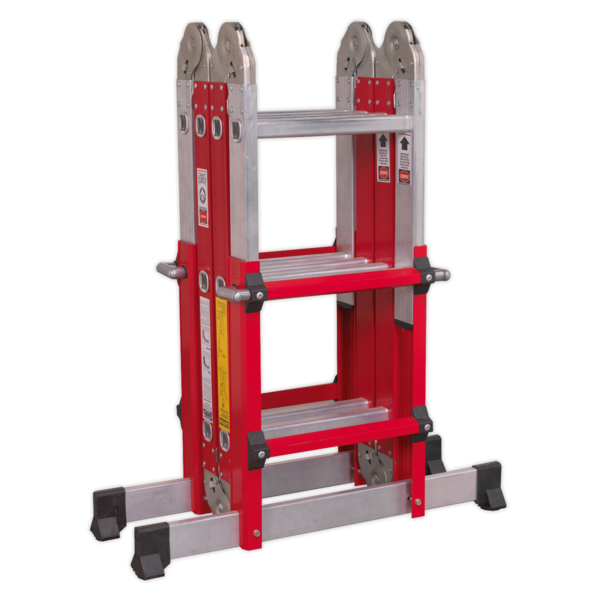 Extra safety provided by twelve reinforced rungs and stabiliser feet. 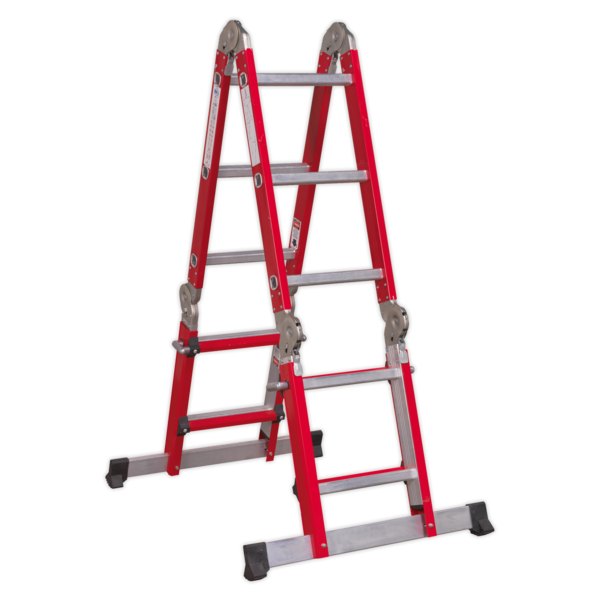 Fitted with extendable legs providing increased climbing height. 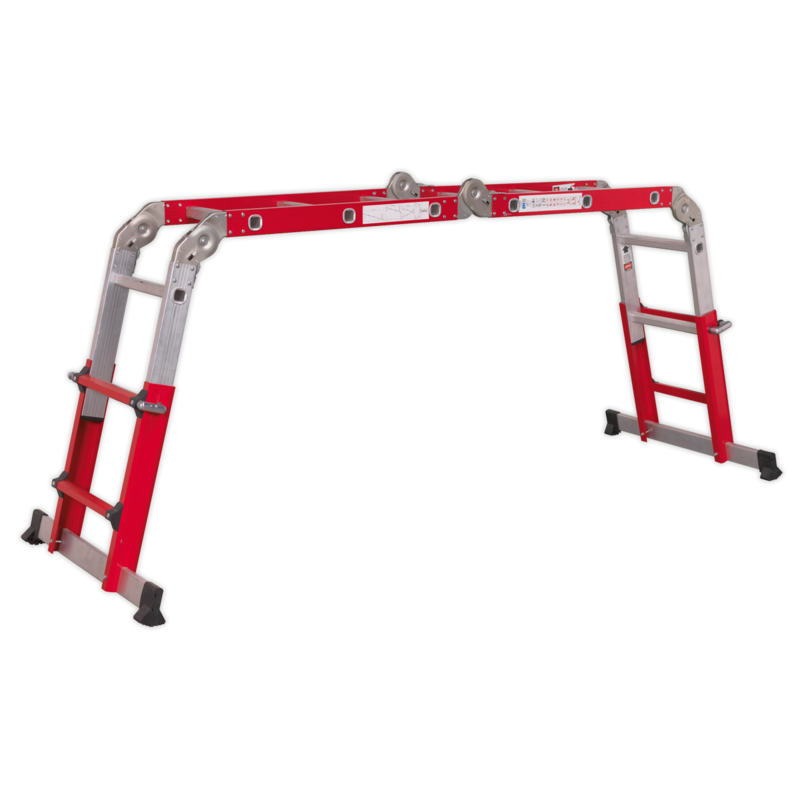 Supplied with metal platform for use as platform and scaffold ladder.